Getting Started with Audiobooks: How to Finally Finish Your "Reading List"
Yes, you want to read more books, but you just don’t have the time for it, right? Audiobooks are a good way to tackle your reading list, but it can be difficult to get started with them. Let’s make it simple. You might think there is nothing more to an audiobook than just downloading a title you want to listen to and get going. But several other things matter, especially to a beginner. We already instinctively know what to do with a book because of schooling, but you still need to learn tips to read more books 5 Tips To Read More Books Every Year 5 Tips To Read More Books Every Year There are just so many amazing books out there. To never have finished at least some is a regret waiting to be felt. Forestall it by reading more and reading smart with the following tips. Read More . Similarly, it’s not just “listening” here — our brain needs to be trained to work with an audiobook. You might be tempted by the idea of starting your audiobook experience with a book that you have long meant to read but never got around to. Stop! Starting audiobooks with a new book isn’t the best way. Instead, start with a book you are familiar with. If you like reading, you already have a few favourites. Pick one of the classics and start with that. 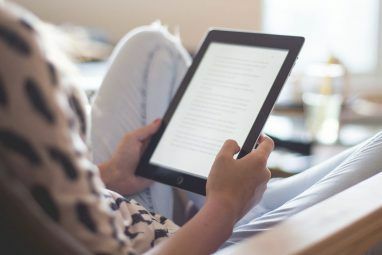 In fact, you can browse through ten websites for free audiobooks The 10 Best Websites for Free Audio Books The 10 Best Websites for Free Audio Books Want to listen to audiobooks without paying a premium? Here are the first websites you should check out. Read More and not spend a dime in your trial run. Since it’s a book you have probably read multiple times, this serves as a way to get into the “feel” of the audiobook experience. You’ll find that it’s quite different from reading books, so ease yourself into this. Don’t rush it. Once you are done with your first audiobook and have familiarised yourself with listening to prose, take the next step of listening to an audiobook that you haven’t already read. 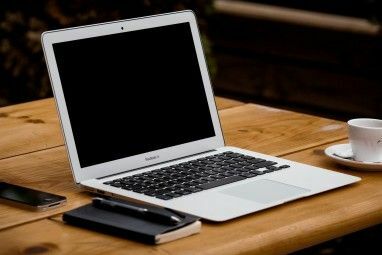 Maybe you’ll find something cool in seven websites for unknown free audiobooks The Top 7 Websites To Find Unique Or Unknown Free Audiobooks The Top 7 Websites To Find Unique Or Unknown Free Audiobooks A while ago we published a comprehensive list of the 10 best websites for free audiobooks. The world hasn’t changed, and many of us are still way too busy to sit down and read. We... Read More . An audiobook is essentially a reading of an entire book. However, unlike books where there is a single author, audiobooks often have different narrators. The narrator’s style, tone and accent makes a big difference in the listening experience. Personally, I found that listening to a British accent wasn’t the best start for me. I’ve grown up watching American television, so an American accent felt more natural. The accent matters, so try different narrators and pick the accent that you like best. Pro Tip: Try and find audiobooks read by the writer, or by a famous actor. For example, Malcolm Gladwell is a fantastic narrator and listening to him read Freakonomics is better than actually reading Freakonomics. If you don’t want to do that research, then try out something by one of the best audiobook narrators around: Jim Dale. Dale is universally liked and acclaimed for his narration of the Harry Potter series, Alice in Wonderland, and Around The World In 80 Days. The range of voices and voice-acting he comes up with in Alice In Wonderland will take your breath away. It’s very important to find a good narrator when you’re getting started with audiobooks. As you listen to more of them, you’ll find a few names coming up often, so you can rely on those narrators. But if you find the same book narrated by different voice actors, then download a demo of all of them and listen to a bit before deciding which narrator you want to stick with for that book. It’s a little tedious at first, but the reward is a fulfilling audiobook experience — and that’s the main thing you are looking for. “Wait, who is Andrew? Was he the guy in the bar or the guy in the police station?” Plot points and characters can be difficult to keep track of. In a physical book, it’s easy to flip back to a page. In audiobooks on phone, that can be a bit more difficult. That tiny playback bar isn’t going to give you pinpoint accuracy, so you will be seeking back and forth. Of course, it’s easier if you are streaming and listening to free audiobooks in your browser Stream & Listen To Free Audiobooks In Your Browser At AudioLiterate Stream & Listen To Free Audiobooks In Your Browser At AudioLiterate Listen to public domain audiobooks in your browser, then download the ones you like. If you're looking to reacquaint yourself with the classics, AudioLiterate is a great site to check out and browse. There's something... Read More . To keep track of major plot points or characters, use the bookmarking or annotation tool 4 Fun, Simple Ways to Enjoy Audiobooks on Android 4 Fun, Simple Ways to Enjoy Audiobooks on Android Audiobooks offer a fantastic alternative to reading! Here are the best ways to listen to audiobooks on Android. 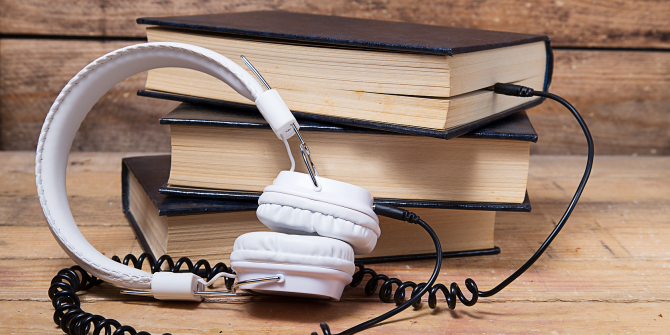 Read More that you have on most audiobook apps. It takes a couple of taps, but it saves you a lot of trouble when you need to refer to something again. As for actually memorizing what you read, there are several tricks. Like with any book, some parts stick in your memory without you having to try. With some others, you will need to make an effort. MakeUseOf Managing Editor Ryan Dube suggests using an Olympus earpiece/mic and a digital recorder. Ryan notes that this only works if you’re listening to the audiobook with external earphones, not earbuds — or listening out loud in the car. It is often suggested that you write down something you read in a book, if you want to remember it. So similarly, when you listen to something, try quickly writing it and sharing it on a social network. Not only can it help you remember, but you can also smartly use special hashtags so that you have a record of all these memorable writings. There are several sites you can download audiobooks from. There are several apps for audiobooks. To be perfectly honest, there isn’t a huge difference between most of these, so go with whatever you find comfortable. If you already use a Kindle, that’s ideal. Otherwise, Audible is one of the most popular apps, works with Kindle and supports WhisperSync Read Or Listen: Amazon Integrates Audible In The Kindle Reader Apps Read Or Listen: Amazon Integrates Audible In The Kindle Reader Apps Amazon has cleverly brought together reading and listening in the new update to the Kindle app. With a tap you can now seamlessly go from reading to listening without losing your place in the book. Read More , and has a large catalogue of audiobooks. Apart from Android and iOS, it’s also a good audiobook app for Windows Phone Enjoy Audiobooks On Your Windows Phone With Audible Enjoy Audiobooks On Your Windows Phone With Audible No time to read? Audiobooks are the perfect solution, and with Audible's free app on your Windows Phone you have access to a library of over 60,000 titles that you can take anywhere! Read More . I prefer Audible and would recommend it to beginners because of the “great listen guarantee”. Remember the different narrators we recommended trying? Audible lets you search by narrator, and has samples for all titles before you buy them. Plus, the service lets you exchange one audiobook for another, no questions asked, with the “great listen guarantee”— that way, you can get the best narrator without spending extra. And importantly, you can use it to listen to audiobooks downloaded from other sources as well. Which audiobook would you recommend to a beginner? You already know my choice, Jim Dale’s rendition of Alice in Wonderland. Let’s hear your pick in the comments. Explore more about: Audiobooks, Ebooks. The local library is a great option if you are new to audiobooks. Audible is great if you have the budget for it. Audible provides an app that lets you listen to books on your mobile. I agree that A Christmas Carol by Dickens is a great all-rounder. If you like Sci-fi/romance, then the Key by Jennifer Anne Davis is also good. I use my local library, which subscribes to the Overdrive audiobook and ebook service. Occasionally my library will have a book on CD that isn't available in Overdrive. Then I rip the CD to an .mp3 file using the free MediaMonkey. Then I merge the zillion individual track .mp3s using MergeMP3, also free. For the past 16 years, I've used the same SanDisk Sansa Clip MP3 player to listen to audiobooks. It is tiny, always remembers where I left off, and just keeps on going. I love Audiobooks! I am learning a new language on the drive to and from work. Audible is cool and I listen on my phone and tablet. I would recommend the 50th Law by Robert Greene and also narrated by him. Frank Muller is (was) one of the great narrators of all time. Wonderful renditions of The Dark Tower and several others from Stephen King and Elmore Leonard novels. I think for a first try I'd go for a short story rather than a novel. If you're into Sci-Fi fantasy or horror the Escape Artists podcasts (EscapePod, Podcastle and Pseudopod) have those. I'd also second the Pratchett suggestion, if you do want to go for a proper book, although I prefer Tony Robinson's narration. For a good all rounder though I'd go for A Christmas Carol by Dickens. Everybody already knows the story (even if most people [me included] havn't actually read it) and there are some excellent versions out there. Patrick Stewart's is probably my personal favourite. I use audible for most of my audiobooks and am currently re-discovering my love for Terry Pratchetts Discworld novels. The unabridged versions read by Nigel Planer (Neil from the The Young Ones) are an absolute joy. I shall be returning to this post to see what others recommend to add to my list. Check with you local library, they may have books available thru Overdrive. You can check out the books and it doesn't cost you a dime. Apparently, while reading your article Mihir, I was listening to Dan Brown's cyberpunk novel 'Digital Fortress" and it was a really fabulous book; though it took countless hours!
" Books are uniquely portable fantasy". Thanks. Seconding almost all these nominations. Briggs, and also Nigel Planer killed it with Discworld. Better than actually reading the books. James Marsters is amazing in all the Dresden Files audiobooks. And yeah, Steven Pacey nailed it as well with Abercrombie's stuff.